The Nigeria Governors’ Forum read with utter disgust reports making the rounds in the print, electronic and social media that monies accruing to states from the Paris and London Clubs refunds have found their way into private pockets. Apart from stating that these reports are unfounded and are only a figment of the imagination of the writers, the Nigeria Governors’ Forum wishes to also categorically state that nothing illegal has been committed in the entire process leading to the final disbursement to states of the first tranche Paris- London Clubs repayment of the excess deductions from states’ coffers and the refund of their loans. 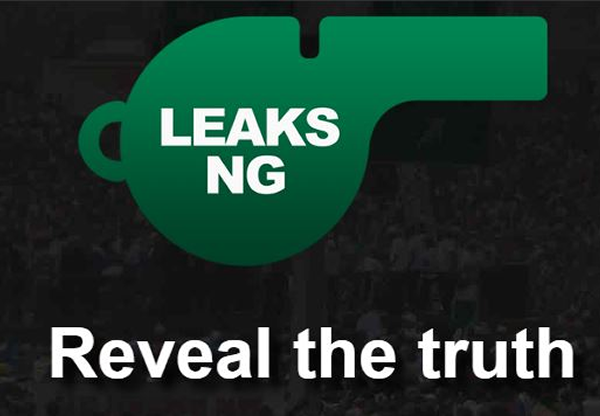 Following the barrage of innuendoes, untruths and outright falsehoods that have pervaded the media, the Nigeria Governors’ Forum deems it imperative to shed light on the transactions that followed and put the records straight. The Paris London Clubs loan refund has been on the cards since 2005. Successive state governors had tried to get reimbursement for the excess deductions from their states in the past but did not succeed. The failure resulted from a number of reasons, varying from one state to the other. It is therefore to the Nigeria Governors’ Forum’s credit that this set of governors was able to persuade President Muhammadu Buhari to authorize the release of the funds for disbursement to deserving states. President Buhari’s desire to reflate the economy at a time when states were insolvent and unable to pay salaries was why he acceded to the request by the current group of governors that the money be released to the states. It is true that there were conditions attached to the disbursements but these arose from the collective and voluntary resolution of the governors and not any draconian order from any quarters. It shows that the governors themselves are responsible, sensitive and compassionate enough to understand the plight of Nigerians that they govern and therefore work in the interest of their people. It is important to state that in approving the repayment, due process was diligently followed and each and every approving authority, including the Federal Ministry of Finance, the office of the Accountant General of the Federation, the Central Bank of Nigeria and the office of the Auditor General of the Federation as well as the National Assembly were duly informed from the beginning to the end of all the transactions. Nothing illegal was done and no monies was paid into the personal account of any Governor, legislator or top officials at any of the levels and arms of government in the country. This brings us to the issue of consultants who facilitated the process. Indeed, a number of consultants were saddled with the task of verifying the amounts due to each of the states. These consultants were recruited by the respective states but were eventually collapsed into a consortium of only a few, even though the others who did not make it to the final group were reimbursed according to their input. It may interest the readers that many more consultants throughout the country are still insisting that they did work on this same Paris-London Clubs repayments since a decade ago and that they are entitled to some compensation as well. Many of them had actually and verifiably done some work in the past and negotiated a fee of between 10 per cent and 30 per cent, with the different states that engaged them. It was therefore immoral and impossible to deny each their due, provided their input is verified and justified. It should be noted that if the Federal Government under the watch of President Buhari had found anything corrupt, illegal and unpatriotic about the payment or the utilization of the first tranche of the Paris- London Clubs Fund repayment to states, it would not have approved the payment of the second tranche to the states. After all, we all know the unimpeachable level of commitment of President Muhammadu Buhari on the issues of transparency and accountability. In any case, those writing those fictitious reports on the payment have also acknowledged that the president had insisted on the verification of the process of utilization of the first tranche before the second is approved for release. Note also most importantly at this juncture, that every decision that was taken in respect of all the transactions was with the full consent and blessing of the 36 governors. We therefore find the insinuation in the media that monies went into the private accounts of seven unidentified governors as not only preposterous but mischievous. This is more so because none of the reports was able to identify a single governor, not to talk of seven. The Economic and Financial Crimes Commission (EFCC) itself had issued a release exculpating all the governors, saying it was investigating the matter further. But instead of allowing the EFCC to conclude its investigations, a particular section of the media resorted to this unsavory falsehood which puts the media and its practitioners in bad light. Finally, this forum wishes to appeal to the media to ply their trade responsibly. We know that in a democracy comments are free, but facts must be sacred too. Media practitioners must abide by their professional ethics if the progress of the country is their motivation for doing their work. They must know that misinforming the public does nobody any good. Instead, at the end of the day, it is the nation and its peoples that suffer from the tension and disunity often generated by the antics of mischief-makers. As partners in progress, the media must embrace responsible ethical conduct and always seek the truth before rushing to publish.